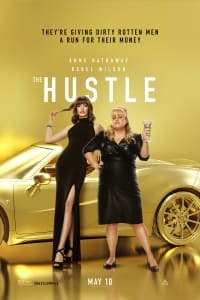 Anne Hathaway and Rebel Wilson team up in THE HUSTLE, opening on May 10. Wilson plays a low-rent scammer who is tutored by a more glamorous con artist played by Hathaway. The pair team up to take down the “dirty, rotten” men who have wronged them in the past. That quoted phrase is a clue, in the event the headline wasn’t enough of a pointer: THE HUSTLE is essentially a remake of the comedy classic DIRTY ROTTEN SCOUNDRELS, which starred Michael Caine and Steve Martin as con artists operating out of a small village on the French Riviera. 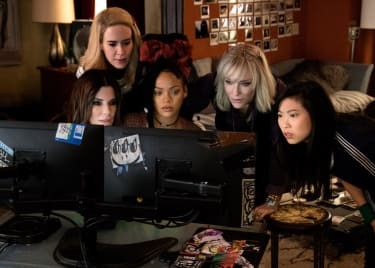 While there have clearly been some drastic changes made to the story for THE HUSTLE, this remake cleverly flips the script in more ways than one. Ironically, THE HUSTLE isn’t the first retelling of this story; DIRTY ROTTEN SCOUNDRELS was itself a remake. The true first incarnation of this tale on the big screen was in 1964’s BEDTIME STORY. But there’s no question that the 1988 film directed by Frank Oz (yep, the same Frank Oz whose alter ego, Yoda, is the conscience of STAR WARS) has been the definitive version — until now. Michael Caine played a refined con man who attempted to seduce $50,000 out of an American heiress (Glenne Headly), while Steve Martin played a less-accomplished scammer who threatened to expose Caine’s character if he didn’t take Martin under his wing. Realizing that their criminal playground wasn’t big enough for both of them, the pair turned their swindle into a competition. The loser would have to leave town for good. With both men willing to go to any length to out-swindle the other, and with go-for-broke performances from Caine, Martin and Glenne Headly, DIRTY ROTTEN SCOUNDRELS is a screwball, slapstick masterpiece. And of course, the women played by Wilson and Hathaway are going after different targets as well. Their cons, different as they seem at first, are based on the idea that women are easy targets. All of which is to say that the big reveal in DIRTY ROTTEN SCOUNDRELS — spoiler incoming for a 30-year-old movie! — is the starting point for THE HUSTLE. There was a lot more to Glenne Headley’s character than her would-be scammers could see at first glance. We actually wonder if THE HUSTLE could be a spiritual sequel to the 1988 movie and not just a remake. 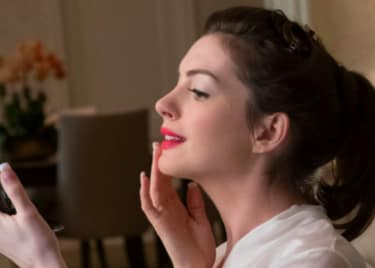 As Hathaway’s character comments, “Women are better suited to the con than men … because no man will ever believe that a woman is smarter than he is.” They set out to prove that true, and we have to wonder if THE HUSTLE will feature its own flipped version of the comeuppance and reveal seen in Frank Oz’s movie — or if we’ll be delighted by something entirely new. We’re betting on the latter. THE HUSTLE comes to theatres on May 10.